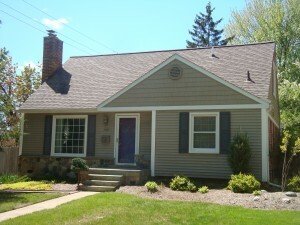 Are you in need of new vinyl siding? For beautiful, natural-looking vinyl siding that is virtually maintenance free, turn to Bloomfield Construction. We offer a wide variety of siding styles — some reminiscent of cedar shake, others of traditional clapboard — in a striking array of colors to match any taste or architectural style. And our sidings are engineered to perform even in harsh conditions. Vinyl provides enduring beauty and design flexibility. Using a variety of siding and soffit styles, colors, accessories and trim, you can update a ranch, add character to a colonial or even recreate a Victorian. Moreover, you can select siding that will be consistent with your home’s design and fit into the environment and neighboring homes. Our broad array of siding styles and colors complements any architectural style. From classic colonial clapboard to the distinctive charm of natural cedar shakes, you can choose the look that best suits your design vision. Top 200 Exterior Contractor in the USA!